A bunch of icons are in, although only one is shown in the screenshot. The others will probably be shown in a later screenshot. The icon shown is the attack icon, which doesn’t do anything at the moment. 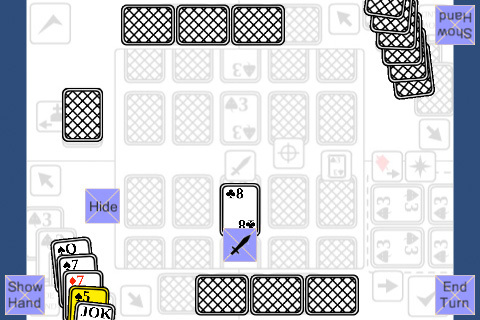 For now, it’s hidden at the beginning and then appears when a card is played a certain way. What’s next: making the attack button work and getting the cards to battle.